The reserve is fairly isolated with the nearest village, San Gerardo de Rivas, 2.5 km (30 minute walk) away. The nearest large town is San Isidro del General, a 1-1.5 hour bus ride down the mountain. Click here for detailed directions to Cloudbridge. Visas & Documents: You will need a passport to enter Costa Rica. Passports should be valid for at least six months beyond the dates of your trip. For most nationalities you can stay 90 days at a time on a tourist visa, but you should check with your consulate regarding visa requirements before travelling. Before entering Costa Rica you will sometimes be asked for proof of an onward ticket out of Costa Rica (e.g. plane ticket home, bus ticket to a different country). 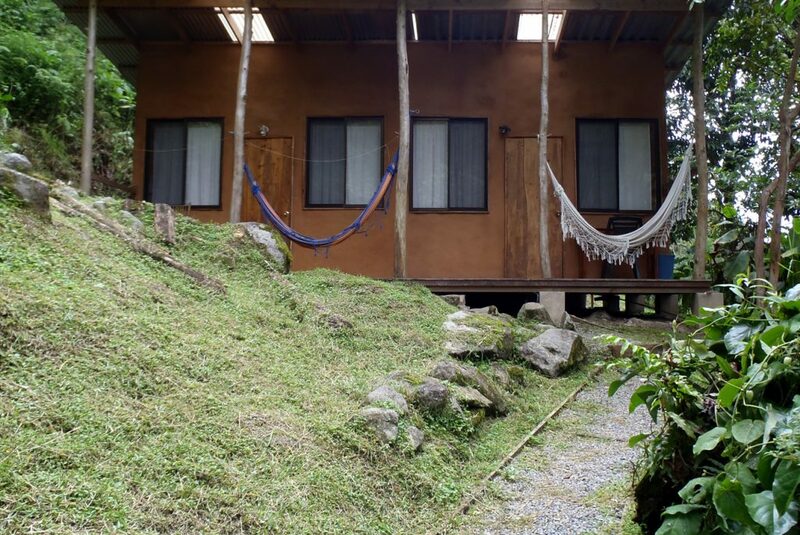 If your onward travel plans will not be finalized before you come to Costa Rica, let us know and we can advise you of how to deal with this requirement. If you are staying longer than 3 months we will inform you of the current requirements for renewing your visa. During your stay, the law requires that you carry your passport at all times, although a copy usually suffices. Keep a photocopy of all key documents, such as passport, driver’s license and credit cards, in a Ziploc deep in your backpack. Better still, scan them and send the images to yourself as an email attachment. Same with all credit card numbers and key telephone numbers. Safety While Traveling: Costa Rica is generally a very safe place to visit, although petty theft can be a problem in some places. When travelling around Costa Rica, it is wise to keep your valuables (money, passport, tickets, cameras, electronics, etc.) in a safe place on your person. Pickpockets are highly skilled, and the crowded bus terminals are golden opportunities for them. A couple of our volunteers have lost cameras and other valuables after setting bags down unattended in crowded places. Note: Don’t bring too many clothes! If you find you need something extra, there are a number of “American Ropa” second-hand stores in San Isidro selling items for about $2.00 USD. Cloudbridge also has a box of cast-offs left by previous visitors that are a good source of extra work clothes. For anyone interested in wildlife photography, the reserve is a great place to spend a day with your camera. 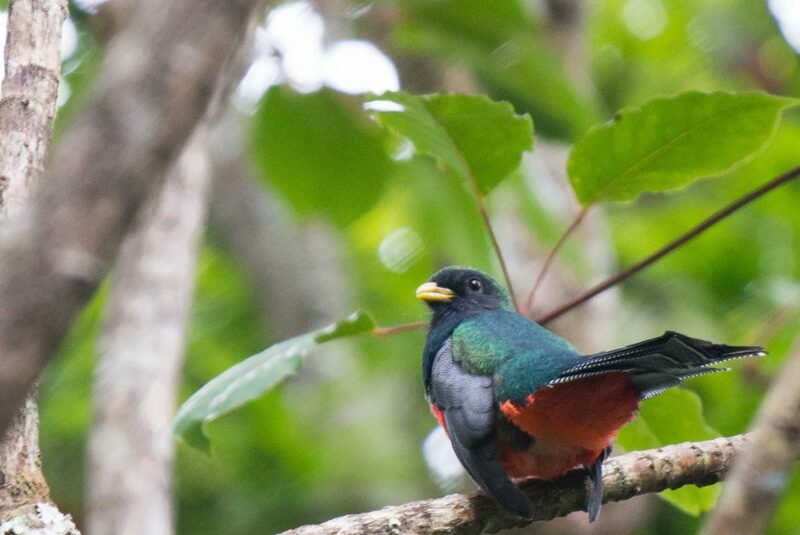 (Collared Trogon). Life is easiest in Costa Rica if you have cash (Costa Rican colones and US dollars), an ATM card, and a credit card (Visa is best). The closest ATM is in San Isidro, so make sure to stock up on cash while you are in town. Most local businesses in San Gerardo take Visa if you run out of cash. 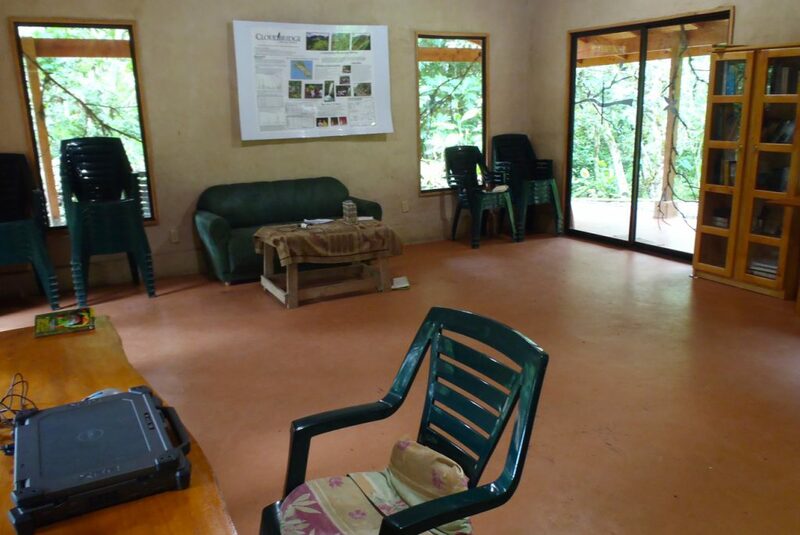 Most volunteers and researchers stay in one of our 4 dormitory rooms. 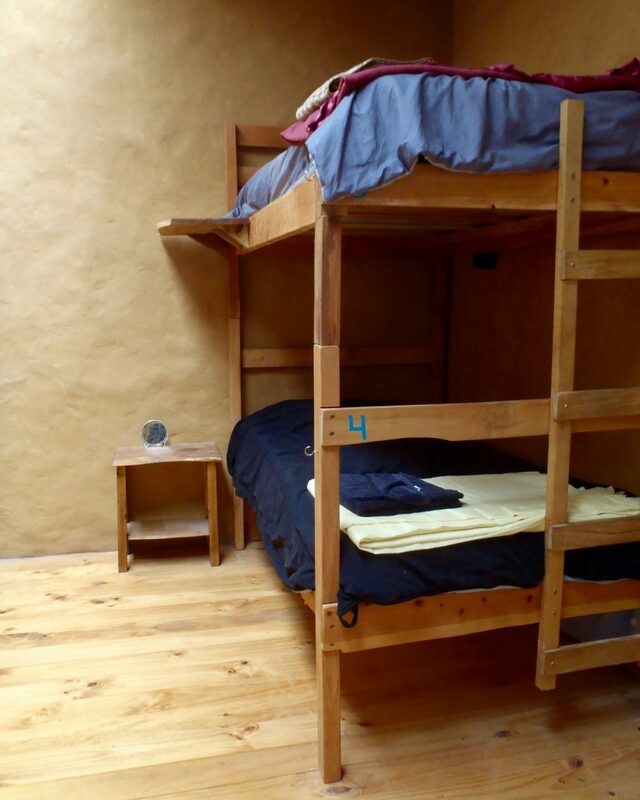 Dormitory rooms are shared and hold between 4 to 8 people on bunk-beds. Private rooms with queen beds may be available in the dormitories or one of our cabins for an additional fee (subject to availability). Bedding and towels are provided. 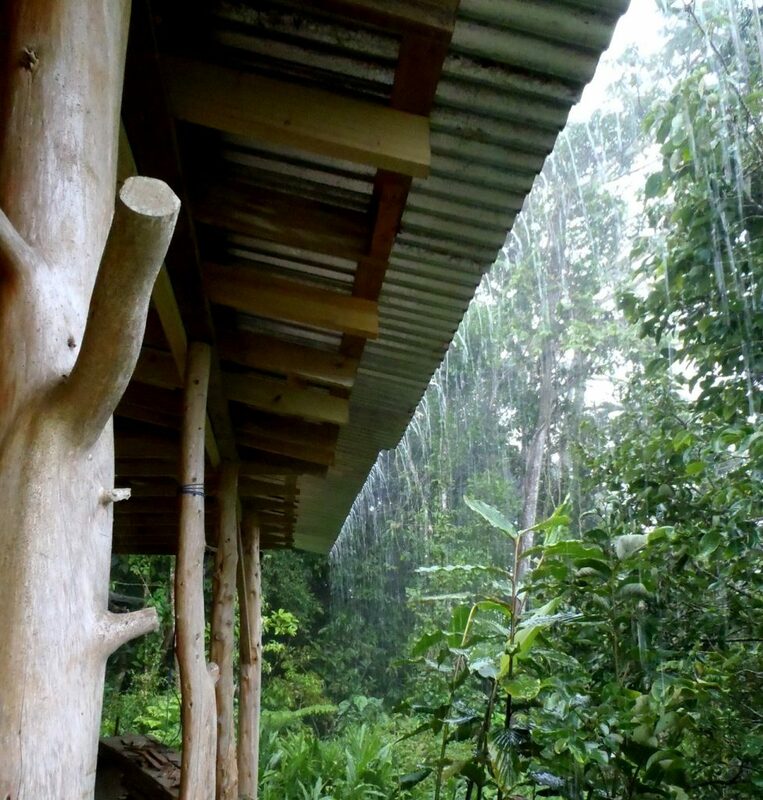 All Cloudbridge buildings have electricity through on-site micro-hydro or solar power. See the Volunteer & Research page for current accommodation prices. People staying in the dormitories share kitchen and bathroom facilites, located in the Learning Centre. The kitchen is equipped with a gas stove and oven, refrigerator, microwave, and a variety of pots and pans and cooking utensils. There are three bathrooms with flush toilets, two of which have hot showers. The Learning Centre also serves as a common area and is equipped with tables and chairs, a small book exchange, a research library, and Wi-Fi. Volunteers and researchers living in the dormitories are expected to keep their rooms clean and are responsible for organizing and following a cleaning rota for the common spaces. 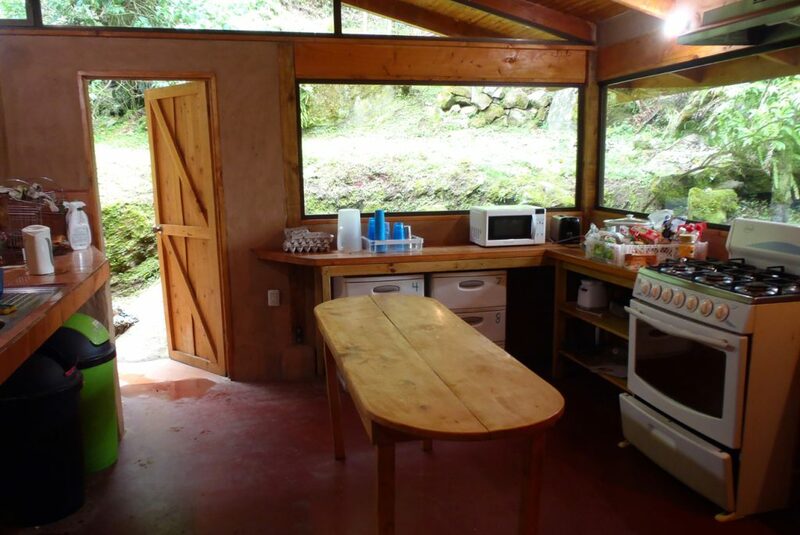 Those staying in one of our other cabins have their own kitchen and bathroom facilities, but are welcome to use the common areas in the Learning Centre. The Upper Dormitory is one of two options for volunteer accommodation. A shared volunteer and researcher dormitory room. Cloudbridge will wash bedding and towels once every 2 weeks, free of charge. Personal laundry can be washed once a week in the washing machine for a cost of 2000 colones for a full load, or 1000 colones for a half load. Or, if you choose, you can hand-wash your clothes. All laundry is hung to dry, and in the wet season (May – December) clothes can take several days to dry. Therefore, clothes made of light, quick-drying fabrics are recommended. The water at Cloudbridge comes from pure mountain springs with no treatment other than a filter. Most people have no issues with the water. 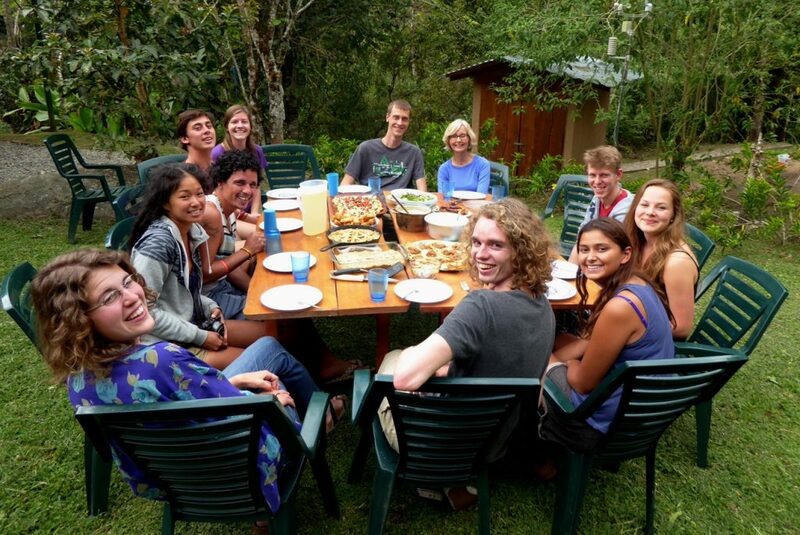 Volunteers and researchers are responsible for their own food and cooking. Most people can find everything they need at the local pulperia and feria in San Gerardo. We encourage buying local for many reasons and provide transportation to San Gerardo once a week for shopping. A few groceries can also be bought at the Hotel Uran. Fresh milk can be purchased from a local farmer just a 5 minute walk down the hill. If you prefer a more exotic menu, San Isidro is a 1 to 1.5 hour bus ride away with multiple large grocery stores. If you have special dietary needs, you will want to stock up on any required specialty items (e.g. gluten-free flours) in San Isidro as San Gerardo has a limited selection (although lactose free milk is usually available). If you have specific questions about what foods are available in San Gerardo and San Isidro, please let us know and we will do our best to assist you. There are several restaurants in the village of San Gerardo de Rivas (30 minute walk), as well as one at the Hotel Uran (10 minute walk). 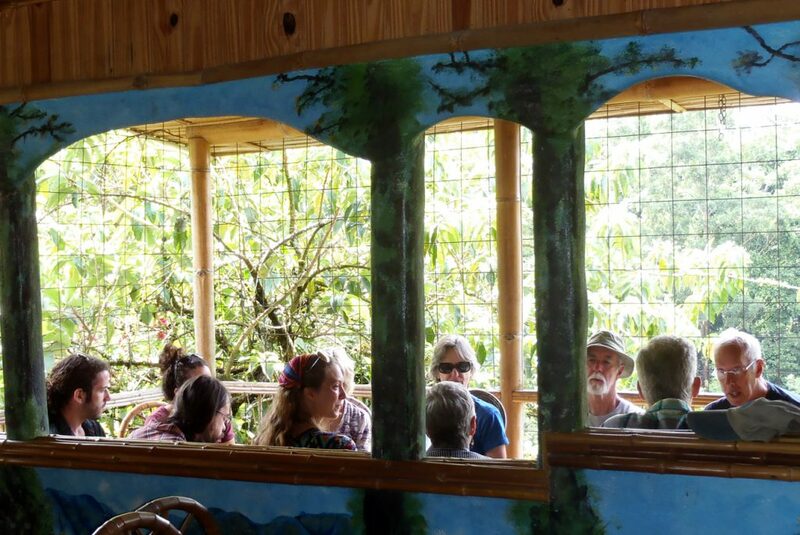 Sunday brunch with a rainforest view and bird watching at Robino’s café in San Gerardo. Wi-Fi is available in the Learning Centre and in the cabins (except Gavilan), but not the bunkhouses. Independent researchers and research interns are encouraged to bring their own laptops for project work. If you don’t have your own computer, there is a Cloudbridge laptop available for work. If our internet is down, you can visit the Hotel Uran and pay to use their system. There are no phones at Cloudbridge. Cell phone reception is limited at the reserve and is usually only accessible from a few places. The nearest public phone is outside the Hotel Uran, a 10 minute walk from the reserve, which requires a phone card to operate. Stamps are available only at the post office in San Isidro. The number of volunteers and researchers at the reserve fluctuates quite a bit, but a typical range is 6 to 14. We usually have more volunteers and researchers during the dry season and fewer in the wettest months (September through December). The usual stay is 4-12 weeks; although some have stayed for much longer. Volunteers and researchers come from all over the world (26 countries so far! ), but typically from places like Germany, Canada, USA, France, the U.K., the Netherlands, and Australia. Monday night potluck features international cuisine thanks to our many international visitors. The common language for most volunteers and researchers at Cloudbridge is English. 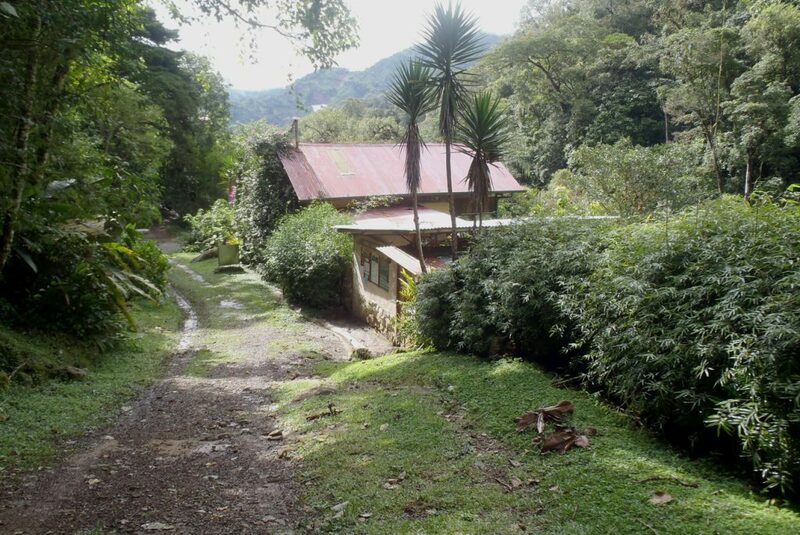 However, most locals (Ticos) speak only Spanish, including several of the workers at Cloudbridge. A basic understanding of Spanish is useful and encouraged, but not required. If you are interested in learning some Spanish while you are here, Cloudbridge can put you in contact with a local teacher. Costs and schedule are discussed directly with the teacher. During the day, most of your time will be spent at the Cloudbridge Reserve. Within the reserve, you can explore the waterfalls, go for a hike, bird and animal watch, or swim in the cool river on a hot day. Outside of the reserve, there are many other places to visit. You can walk down the road to the village of San Gerardo de Rivas for a meal, catch your own fish at the trout farm, or stop for a beer at the Roca Dura and chat to hikers and locals. Further down the mountain, you can visit the cheese shop in Canaan and pick up some locally made cheese and yoghurt. If you’re looking for a challenge, you can hike to the top of Mount Chirripó, Costa Rica’s tallest peak. There are also other beautiful hikes in the surrounding area. After a busy day, you can go to the nearby thermal springs to ease your muscles. Swimming in the clear water of the Chirripó River is a great way to cool off on a hot day. Evening is one of the magical parts of life in the Chirripó Valley. After dinner, visitors often chat or write emails, play cards, read a novel, watch a movie, or study the nature books from the Cloudbridge library. All is done amidst the noise of the crickets and frogs and the rushing Chirripó River down below. On Monday evenings we have a potluck (communal meal) in the Learning Centre. We are generally in bed before 9 and awake about 5:30 to the dawn and the songs of the birds. Of course you can always have dinner or a drink at one of the local restaurants and meet new friends. 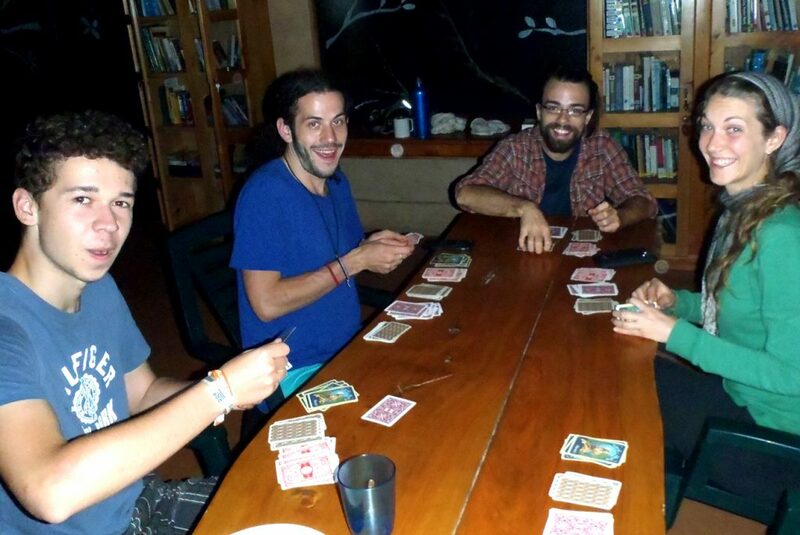 Playing cards with new friends. On the weekends, many people will go on a trip to the beach or other destinations in Costa Rica. Popular weekend beach trips include: Dominical (about 2.5 hours), Uvita (about 3 hours), and Quepos/Manuel Antonio (about 3 hours). Cloudbridge is located in a steep mountain environment at an elevation of 1550-2150 m (5085-7050 ft). 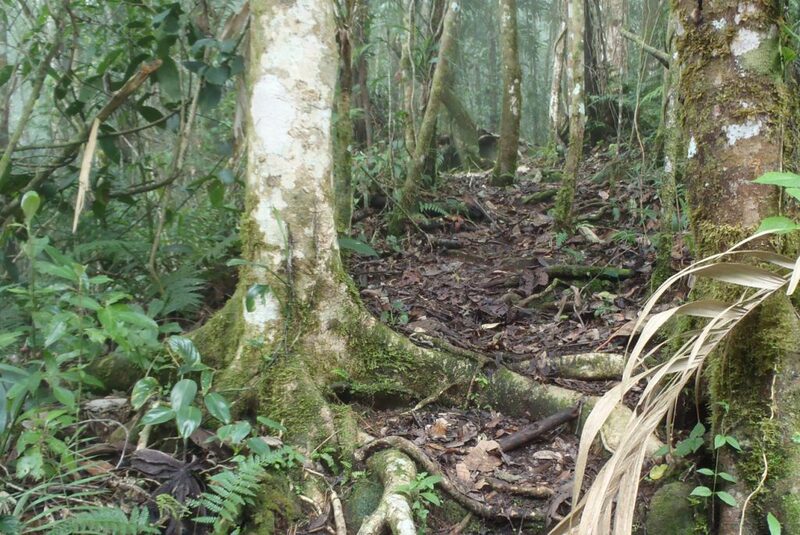 Getting to most places in the reserve requires walking up or down steep slopes or stairs. The steep terrain and high elevation can make it physically demanding for most people initially, especially in the first few days as you get accustomed to the thinner air. Some of the research trails can be quite the climb, but are worth the challenge. 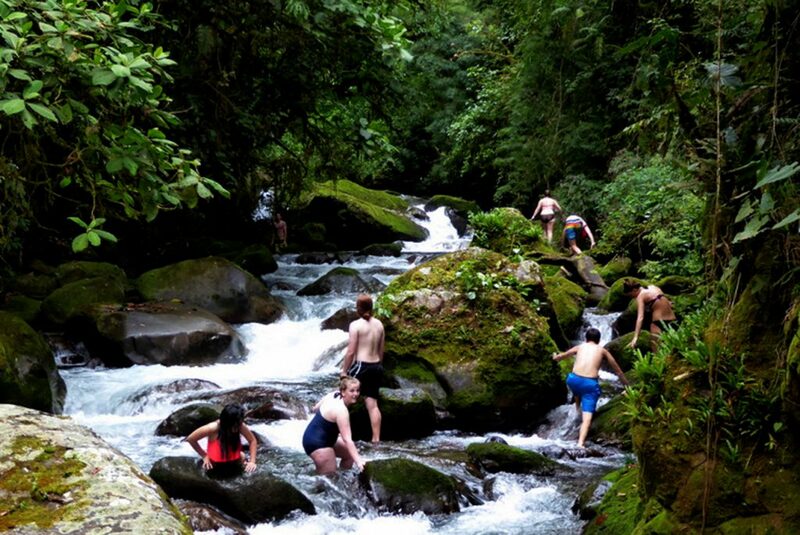 Temperatures at Cloudbridge are typically cooler than in much of Costa Rica and most people find the temperature quite pleasant. Daytime temperatures typically reach 25-30 °C (77-86 °F) in the afternoons, while nighttime temperatures range between 15-20 °C (59-68 °F). Throughout the year, mornings are typically clear and sunny, and if it rains, it almost always rains in the late morning or afternoon. During the dry season (December through May), temperatures are usually a bit warmer and very little rain falls. In the rainy season (May through December), it rains in the afternoons almost every day for about 4 hours, starting any time from mid-day to early evening. Afternoon rain at the Gavilan cabin. There are fewer snakes and insects at this altitude compared to the rest of Costa Rica, but there are some. There are a few species of venomous snakes at Cloudbridge, however, they are shy and we have no records of anyone being bitten. There are mosquitoes and some other biting insects, such as chiggers and ticks, although none have bites that are life-threatening. Insect repellent is recommended if you are sensitive to insect bites. 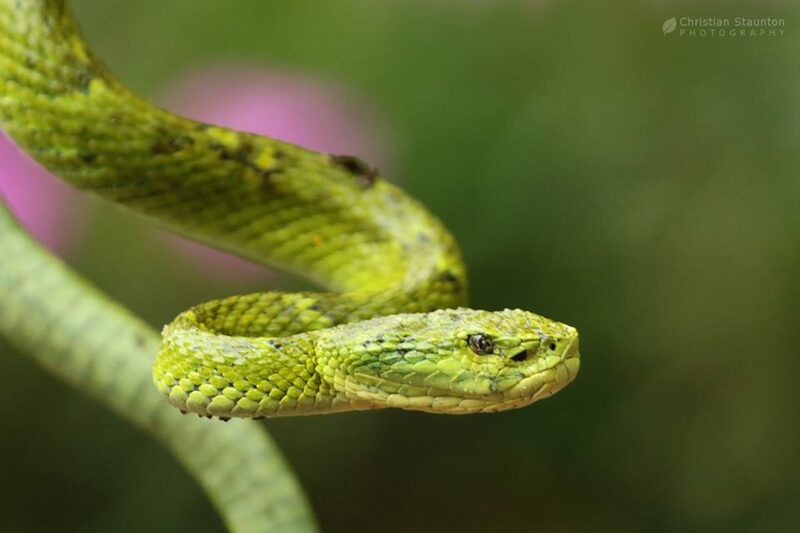 A Palm Pit Viper, one of the few poisonous snakes at Cloudbridge. While very unlikely at this altitude, elsewhere in the country there have been cases of tropical diseases like malaria, dengue fever, and zika virus, although the risk is very low and no locals or Cloudbridge staff take preventative medications. No special vaccinations are required by Costa Rican law to enter the country at this time. However, you should consult your doctor regarding your medical needs before travelling. Basic first-aid equipment is kept at the Learning Centre. If someone needs professional medical help, there is a hospital and several medical clinics in San Isidro. More specialized medical facilities are located in San Jose. We recommend that you get travelers medical insurance in your home country as Cloudbridge does not cover medical costs. Many over the counter or prescription medications readily available elsewhere are hard to find or expensive in Costa Rica. If there are any medications you need, or think you might want, make sure to bring an adequate supply to cover the duration of your stay. We recommend you bring diphenhydramine or another antihistamine to have with you should you have an allergic reaction, also an over the counter steroid cream for itches is a good idea.